Crude Oil Daily: Ghana Spends $1m Daily On Crude Imports? 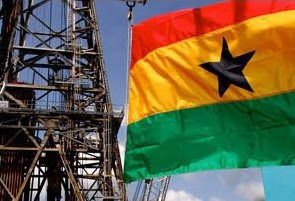 VENTURES AFRICA – Ghana spends $1 million per day for additional crude oil purchases. According to a report released by the World Bank over the weekend, Ghana’s only oil refinery, the Tema Oil Refinery (TOR) is saddled with debts and cannot refine enough to supply the country’s energy needs. The West African country, which became an oil producer in 2010, relies on the West African Gas Pipeline Company (WAGPCO), a regional power initiative, for the supply of Gas to power some of its gas plants. However, damage to the WAGPCO pipeline last year translated to electricity shortages in the country. Ghana is building a Chinese-funded $750 million gas processing plant in the country’s Western Region but the project has stalled many times due to funding issues. The World Bank therefore urged its government to move the new gas developments forward as quickly as possible. In a report entitled ‘Making the Power and Petroleum Sectors Rise to the Challenge’, Ghana is fortunate to have gas in its Jubilee oilfield and can also import gas from neighbouring Nigeria. Last week, President Mahama directed the Finance Minister to look for alternative funding for the gas project at Atuabo in the Western region following challenges in securing funding from the China Development Bank. The report said continued gas deficits would persist until 2017, when the TEN and Sankofa fields (new licensed oil blocs) are assumed to begin production. With this scenario in mind, the World Bank urged the government to fast track the commercial and technical planning for Sankofa and TEN to begin production this year and avoid the delays that dogged development of Jubilee gas. It also urged the Ghanaian authorities to set up a dedicated gas team to lead commercial negotiations on Jubilee, Sankofa and TEN to ensure contracts with the oil companies are signed as soon as possible. With regard to gas pricing, which it describes as central to the gas commercial framework, the report was unhappy that Ghana has not yet published its Gas Pricing Policy though the country’s cabinet endorsed the policy’s underlying principles in the middle of 2012.